Mr. Prevention is a really great gift-giver. Not only is he thoughtful and generous, but he’s also really creative. I mean, this psychedelic bulldog canvas truly completes my home. Every home needs such a conversation piece occupying real estate on their walls. At least one wall. Really. He also got me tennis lessons for Christmas (!!). I’ve only been saying I want to play since high school gym class. At a not-so-spry 28, this tennis dream is becoming a reality. You won’t see me at Wimbledon in 2014, but I’m shooting for 2015. It’s good to have goals, realistic or not. As soon as I can serve the ball, return anything on my forehand in decent fashion, keep the ball -in- the court, or quit holding the racquet like a hockey stick, you just never know what greatness could come to be. Just sayin’. I was also gifted with new Rachel Ray cookware. My baking sheet, loaf pans, and 8×8 were in dire need of replacement, but I had become very accustomed to just layering everything with parchment paper. No one had to know that my cookware was…used, abused, and turning rusty from my refusal to hand wash anything. With my cookware came a new knife block and set of knives. It’s never good when you can justly refer to every knife in your kitchen as a “butter knife”. While a rainbow of colored spatulas isn’t “necessary”, a new crock pot would’ve been, perhaps a bit more…practical? Mine has seen better days, and I don’t know that I can attribute that to the lack of hand-washing (you betcha that thing gets cleaned in the dish washer!). It’s just…old. Sundays are hockey days and seeing as I leave at 4:45 to make it to hockey by 5:45, play until 6:45 and walk in the door sometime between 7:45 and 8pm, hockey interferes with my beloved dinner time. So, I’ve decided Sundays are going to be crock pot nights. And late dinner nights, but lord knows I’m ready for dinner after hockey. 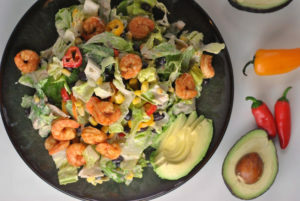 My sister-in-law found this gem of a recipe on Pinterest and after she and the in-laws gave it 2 thumbs up, it was next on my Sunday crock pot rotation. Delicious! 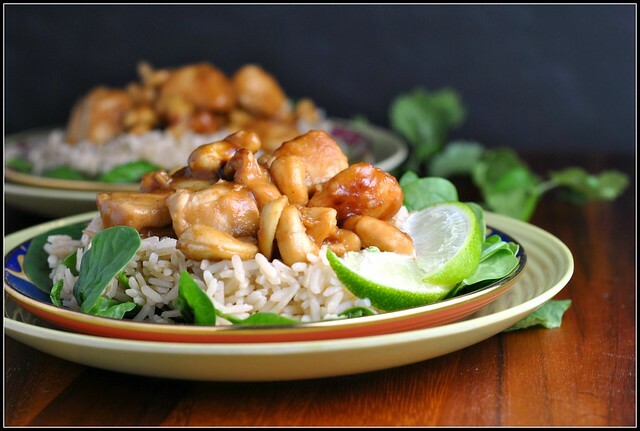 Cut chicken into large, 1½-inch pieces. Combine flour and pepper in ziplock bag, add chicken, and shake to coat with flour mixture. Heat oil in large skillet over medium-high heat. Add chicken to skillet and brown chicken about 2 minutes on each side (note: do not cook chicken completely); transfer chicken in slow cooker. Combine soy sauce, vinegar, ketchup, sugar, garlic, ginger, and pepper flakes in small bowl; pour over chicken. Cook on low for 3 to 4 hours. Add cashews and stir. Serve over rice, if desired. « 4th Annual Chili Contest ROUND-UP and WINNERS ANNOUNCED! Wow, Mr.Prevention is a great gift giver. I love that he gave you tennis lessons- sometimes it’s the signing up that’s the hardest part. Wow, he really is a great gift-giver! Have fun with those tennis lessons. 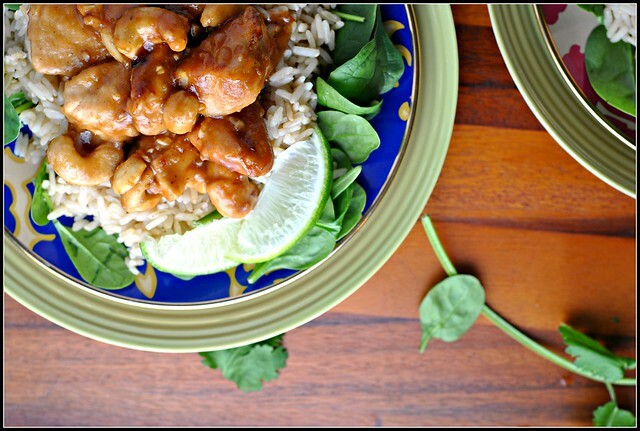 This chicken dish is something that my family would love. 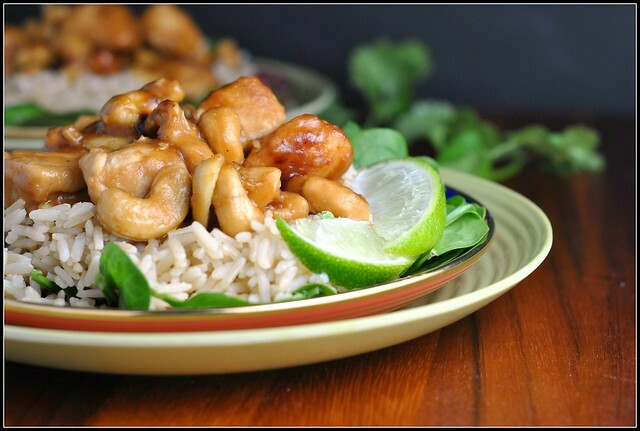 We always have cashews in the house, so I’m tempted to try it this week. Glad you liked the recipe! My mom mentioned she already made it a second time. I made this (http://www.foodiecrush.com/2014/01/skinny-slow-cooker-kale-and-turkey-meatball-soup ) in my crockpot this weekend — I’ll let you know how it is once I try it. Oooh tennis lessons! That should be fun and it really is a sweet gift idea. Will you guys play together? Just wanted to say a quick thanks. 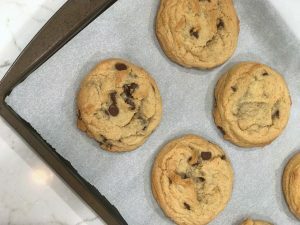 I stumbled upon this recipe online and emailed it to myself to print later. I was struggling with menu planning yesterday because I had no time when I noticed your Weekly menu. 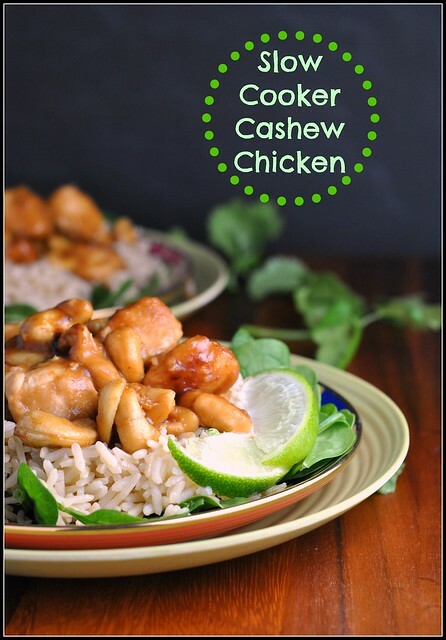 We did the Cashew chicken last night and loved it. We liked the barbecue chicken salad tonight even better. Looking forward to trying the rest of the recipes on the list. Great big thanks! I tried this recipe but it didn’t turn out as the picture. My sauce is very dark, almost black. Any idea where it could have gone wrong? The sauce taste very acidic also. I did use the low setting but my slow cooker tend to heat a lot even on that setting. I didn’t leave it more than 4 hours. I used regular soy soy sauce, could it be it? I also used rice vinegar, not rice wine vinegar but I searched online and it supposedly is the same thing. Right out of the slow-cooker it was not good but once re-heated and with cashews it’s edible even if it def doesn’t look like your pic..! Also I think there is too much ginger. This is really confusing! It’s probably something I did or an ingredient I used but I can’t put my finger on it.